Mozambique may represent a new pattern as well. As Islamist militancy continues to spread across Africa, it is moving beyond hotspot countries—Nigeria, Somalia, Libya, Mali—and their immediate neighborhoods. Violent extremism is now reaching peripheral Muslim communities that, as a small fraction of an overall national population, are ancillary political players and something of an afterthought for the central government. Maputo has spent decades basically muddling through with its policy toward Mozambican Muslims, as Liazzat Bonate and others have chronicled. Upon independence, in the heyday of ‘scientific socialism’ for the Mozambique Liberation Front (FRELIMO), the government aimed to repress all religious identity and practice but eventually worried Muslims might rally to the Mozambican National Resistance (RENAMO). In the early 1980s, President Samora Machel decided to formalize the religious sphere, hoping to identify a single interlocutor from each faith community. Thanks to this liberalization, Muslims gained greater public visibility and participated in official politics. Muslim parliamentarians have advocated for Islamic holy days to be national holidays, for example. But the government policy also reified differences within the Muslim minority. Mozambicans of South Asian descent, living mostly in the capital and educated in the Middle East or South Asia, created an Islamist-oriented Islamic Council of Mozambique. Those left out, mainly the numerous Muslims of African descent in the North, where Islam dates back more than a millennium and is intertwined with chieftaincy and Sufi brotherhood structures, formed the Islamic Congress of Mozambique. The government of Mozambique favored the Islamists, seeing in the Council a top-down organization of cosmopolitan, university-educated modern Muslims untainted by colonialism. The Congress, by contrast, seemed to represent the syncretic folk-based ‘Black Islam’ once favored by the Portuguese, who promoted a Northern Sufi African Islam once they had assassinated, arrested, and replaced all nationalist Muslim chiefs. Maputo’s choice of the Council sparked a competition for patronage and led Northern Mozambicans to seek international sponsors. Staunched at home, the Congress managed to be the first Mozambican Muslim group to gain official status with key global Islamic organizations, thereby undercutting the Council’s exclusivity. Battles over recognition among opposing Muslim factions have at times turned violent, requiring police intervention and incarceration. Ultimately faced with two powerful interlocutors, Maputo has tried to balance the Council and the Congress. The Ministry of Justice’s Department of Religious Affairs (DAR) split international subsidies for hajj pilgrims and student scholarships abroad, for example, but the Council resisted the downgraded role, and rivalry has persisted. The Mozambican government has tried to limit the proliferation of Muslim interlocutors. The DAR refused to register new Islamic associations proposed by students of diverse backgrounds who have returned from their studies abroad, and who are fed up with the elders of both existing organizations. In responding to terrorism, Maputo finds itself entangled in a generational conflict within the Mozambican Muslim community. The leadership of the Council and the Congress are united in condemning the terrorist attacks, and they have followed closely as authorities have shut down several mosques that a Congress spokesman identified as spreading radicalization. And while no group has laid claim to the terrorist attacks, the press has taken to describing them as the work of ‘the youth’ (or ‘al-Shabaab,’ although there is no evidence of links with the Somali organization of that name). Even more telling, recent accounts attribute the attacks to Ahl Sunnah wa Jama or Ansar al-Sunna: Ahl al-Sunna and Ansar al-Sunna are two names used by a breakaway Muslim association building new mosques in the North, founded by young graduates but long denied official status by the DAR. Engage the Muslim youth: Maputo might find new Muslim organizations to register and novel ways to engage Muslim youth outside legacy Islamic institutions. The government would do well to ensure that young people benefit from the multi-billion dollar natural gas projects now getting underway in the North, giving them new life prospects and opportunities, be it through programs to hire young people, corporate responsibility projects to aid local communities, businesses that benefit from more money circulating in the provinces, or improved infrastructure connecting the North to the rest of the country. Reinforce border security and regional cooperation: The security memorandum that Mozambique recently signed with Tanzania could be leveraged to analyze Muslim community connections that cross borders. The government will need to better understand and follow what is happening in the Muslim community of its nation, especially to track any illicit financing or radicalizers moving into and out of the country. Counter extremist ideological through locally viable narratives: Maputo should consider studying the content and influence of violent extremist messages reaching Mozambican Muslims, conveyed both face-to-face and online in Portuguese, Swahili, and other languages. The government would do well to revisit how international scholarships for education abroad in places like Sudan and Saudi Arabia are impacting religious discourse within Mozambique. Ultimately government officials may need to encourage or even develop counter messages and alternative narratives that are credible and persuasive among Mozambican Muslims. Tailor approaches to specific Muslim communities. While small in size, the Muslim community in Mozambique (like the Muslim communities in other SADC countries) is diverse, comprising several discrete sub-communities with distinct histories. The government of Mozambique might consider customizing its policy by group, tradition, and locality—just as South African approaches might differ in Cape Town and in Durban, or as Madagascar may develop a specific policy for the Muslim community of Mahajanga. Develop greater in-house government capability regarding the Muslim minority: Passing along questions about Muslim citizens to traditional Islamic leaders is likely no longer viable. 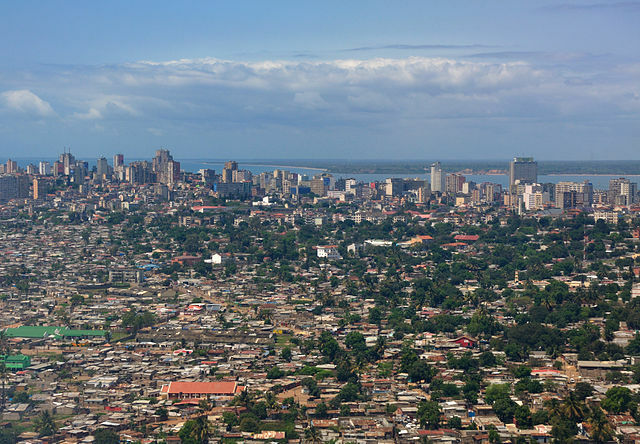 Maputo should be leery of reverting to the nationalist preference for Islamists or of reviving a colonial discourse about ‘Black Islam’ by trying to instrumentalize a so-called moderate Sufi Islam against a security threat. Rather, the government would benefit from building expertise on Mozambique’s Muslim community within the DAR and the provincial authorities of Cabo Delgado, Nampula, and Naissa, in order to formulate effective and appropriate national and local policies. Dr. Benjamin P. Nickels is associate professor of counterterrorism and counterinsurgency at the Africa Center for Strategic Studies. https://africacenter.org/experts/benjamin-nickels/. Mr. Paulo Araujo is a community affairs specialist at the Africa Center for Strategic Studies. The views expressed in this article are those of the authors and are not an official policy or position of the National Defense University, the Department of Defense, or the U.S. Government. Margaret Hall and Tom Young “Confronting Leviathan: Mozambique since Independence,” Ohio University Press, 1997. Liazzat Bonate, “Muslim Religious Leadership in Post-Colonial Mozambique” South African Historical Journal 60(4) 2008. Mário Machaqueiro, “The Islamic Policy of Portuguese Colonial Mozambique, 1960 – 1973.” The Historical Journal, 55,4 (2012), pp. 1097-1116.